International Law Office „D. Vladimirov & Partners“ offers you subscription based on legal services. 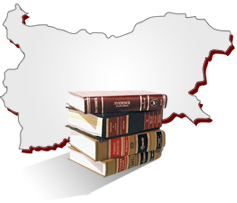 It is especially useful to Bulgarian and foreign nationals, whether natural persons or legal entities, with a permanent need for legal services and advice. You will benefit from all services of International Law Office „D. Vladimirov & Partners“ whether these are needed for your day-to-day operation or to resolve a suddenly emerged problem. Thus you will allow us to create a comprehensive legal concept to support and drive your operations. The fact that over time we will get to know all the specifics of your particular business and will build a clear idea of your needs will help us act more efficiently. You save money when using our services and obtain a better cost-cutting solution than maintaining a legal department in your company. Moreover, we work with many experts in the country and abroad who stand ready to provide a competent opinion on each of your issues. You will be placed on the fast track and will be able to always count on us for an expedient solution of your problems. 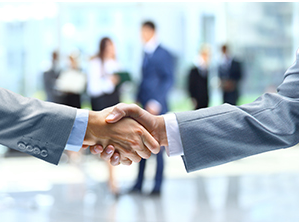 Highly tailored approach to resolve all existing issues and problems. Trust, security, professional approach and strict confidence of the information you share with us. *The monthly fee is based on the type of the legal services, amount and complexity of work. We will prepare a custom offer for each client. Contact us to talk about your needs and offer you a s u b s c r i p t i o n package.